Join us for a Galactic Gala in honour of the Star Wars Fandom! 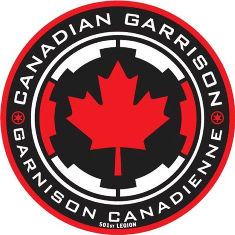 Padawans and Sith Apprentices of all ages will enjoy an afternoon of Star Wars themed fun, crafts, trivia and even a visit from some of our favourite Star Wars characters compliments of the 501st Legion. Call 519-255-6770 Ext. 2200 to register.